Sheriff Fiona Reith said this week, when sentencing John Wilson for his breach of the peace at the game where he did NOT assault Neil Lennon the following. “The football match was a high profile game between Celtic and Hearts. There was evidence that there was a “terrible”, “very tense” and “poisonous” atmosphere in the stadium between both sets of supporters with racist and sectarian shouting and chanting coming from supporters… PC Cleghorn … described how extreme antagonism between both sets of supporters of a bigoted, sectarian nature “really kicked off”, as he put it. He described the atmosphere at this point as being very, very volatile and he feared a pitch incursion as the crowd was angry. These comments, together with the “top line” sentence of 12 months showed recognition by the court that football games can be “powder kegs” where problems can quickly escalate. The courts clearly wish to take action to prevent repetitions of Mr Wilson’s criminal behaviour. 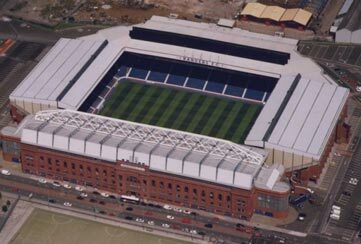 Tomorrow Rangers play Celtic at Ibrox. These games are always fraught with headaches for the police and security staff on duty. Whilst it would be wrong to classify everyone who attends these games as “bigoted” or “sectarian” no-one would dispute that there are “fans” on both sides who would qualify for that description. Bearing in mind that Rangers are in the midst of allegedly serious financial woes, and that neither team has started the season firing on all cylinders, tomorrow’s match is most definitely a “high profile” one where the atmosphere, especially if the game is going against one side, might well become poisonous. In addition Neil Lennon has been the subject, over his time in Scotland, of physical attack, verbal assaults, vilification by opposing crowds throughout Scotland, abuse in the media and finally to threats and alleged nail bombs being sent to him. Surely any responsible organisation would take care not to stoke the fires of hatred higher? Lower down the page, above an article titled “Ally: No Grudge Match” we see the infamous picture of the argument between Lennon and McCoist last season, showing the Celtic manager’s angry face, and the back of the Rangers’ boss’ head. 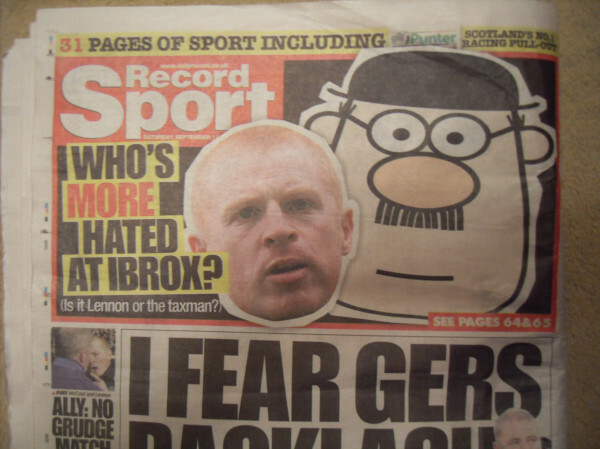 The piece inside the Record (which I have not read as it does not appear to be online) might be a detailed analysis of the issues regarding Lennon and the HMRC issues with Rangers – it might take care to provide a commentary on why Neil Lennon, above anyone else in Scottish football in recent times, has been subject to such vilification – it might try to assess why Neil Lennon is a particular thorn in the Rangers flesh. However, even if it does, I fail to see how the headline and the juxtaposed picture can in any way assist the calming of the atmosphere tomorrow. If there is trouble, will the Record acknowledge that it could, even in the slightest way, have contributed? No – it will splash the story across the first six pages, with a pull out with all the photos inside. Could it be argued that the headline commits, or is likely to cause, a breach of the peace? It possibly could, but there is no way that any proceedings would be brought against the Record for that – as we saw yesterday with the Met Police action against the Guardian (click the link for a trenchant criticism by Stephen Raeburn of the Firm Magazine), police action against the media provokes a civil liberties backlash which is entirely justified. The rights of a free press to publish are vital to a properly functioning democratic society, but there is not, nor should there be, the right to shout “Fire” in a crowded cinema. I am not advocating action against the Record for this, let that be clear, but I would hope that someone there would have a long look at this headline and avoid a repetition. Based on history, that might be a forlorn hope. Interestingly last week, on BBC Radio Scotland, Jim Traynor, the experienced and respected Chief Sports Writer for the Record, pointed out most clearly that the journalists did not write the headlines, and that it was the sub-editors who did so. This was in connection with the articles about Rangers’ “War Chest” available under the new Craig Whyte regime. 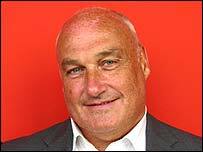 Jim Traynor denied vigorously to Chick Young that that was his phrase. As I say, hopefully the person responsible will have a word in their ear, and even more so, one hopes that the game tomorrow is talked about afterwards for the football, and not far any trouble on or off the pitch.